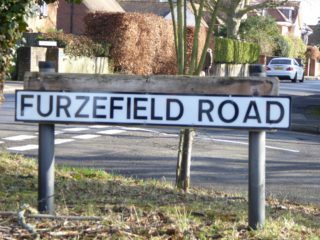 You are here: Home>Beaconsfield History>General Articles>Road Names of Beaconsfield - where do they come from? Names were originally given to roads as a guide for travellers as to which route they should take to reach their destination from Beaconsfield, such as to London or to Oxford, or more locally to Aylesbury, Amersham, Hedgerly, Penn, Windsor and Wycombe. 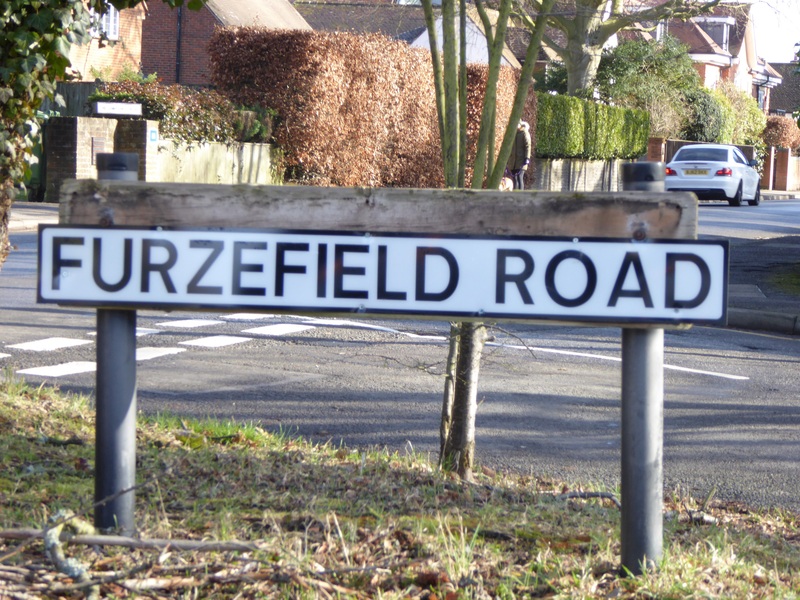 Hence we have roads known as London End, Aylesbury End, Wycombe End, Windsor End, London Road, Oxford Road, Amersham Road, Penn Road, Forty Green Road and Hedgerley Lane As the population increased and the town expanded, more houses were built in new roads and it became necessary for these to be identified. What names to use? Look at the Tithe Map! The Tithe Map of Beaconsfield from 1846 details over 600 separate named areas, giving the size of each and telling how the land was being used. These names included such places as Burgess Wood, Candlemas Pond, Furzefield, Hogback Wood, Holtspur Heath and Walkwood which gave rise to Burgess Wood Grove, Burgess Wood Road, Burgess Wood Road South, Candlemas Lane, Candlemas Mead, Furzefield Road, Hogback Wood Road, Holtspur Close, Holtspur Lane, Holtspur Top Lane, Holtspur Way, Walk Wood Rise and Walk Wood End. The map also showed local farms such as Eghams, Hutchings, Ledboro, Sealy’s and Wattleton which in turn gave their names to Eghams Close, Eghams Wood Road, Hutchings Road, Ledborough Lane, Ledborough Wood, Seeleys Close, Seeleys Road, Seeleys Walk and Wattleton Road. Not surprisingly, tithe names that have not been used include Dung Mine, Great Snake Dell and Crutch Bottom! The three great estates, Hall Barn, Wilton Park and Gregories/Butlers Court are celebrated in local road names either by their names or those of their occupants. This accounts for Baring Road,(after William Baring Du Pre of Wilton Park) Gregories Road, Burkes Road, Burkes Close, Burkes Court, Burkes Crescent, (After Edmund Burke, owner of Gregories), Burnham Avenue, Waller Road (after Lord Burnham and Edmund Waller owners of Hall Barn) Edmund Court (after Edmund Waller or Edmund Burke) Butlers Court Road, Caledon Road, Caledon Close (after Caledon George Du Pre of Wilton Park) Maxwell Road (from Hugh Maxwell who rented Hall Barn), Grenfell Road (of Butlers Court) Wilton Crescent and Wilton Road. The Adjoining Penn House Estate, owned by Earl Howe, (family name Curzon), also gave rise to Howe Drive, Assheton Road (a surname in the Howe Family), and Curzon Avenue. Beaconsfield Families and local dignitaries/celebrities . The Wooster family of Seeleys Farm are recognised by Wooster Road, as are the Lake family and the Rolfe family with Lakes Lane and Rolfe Close. 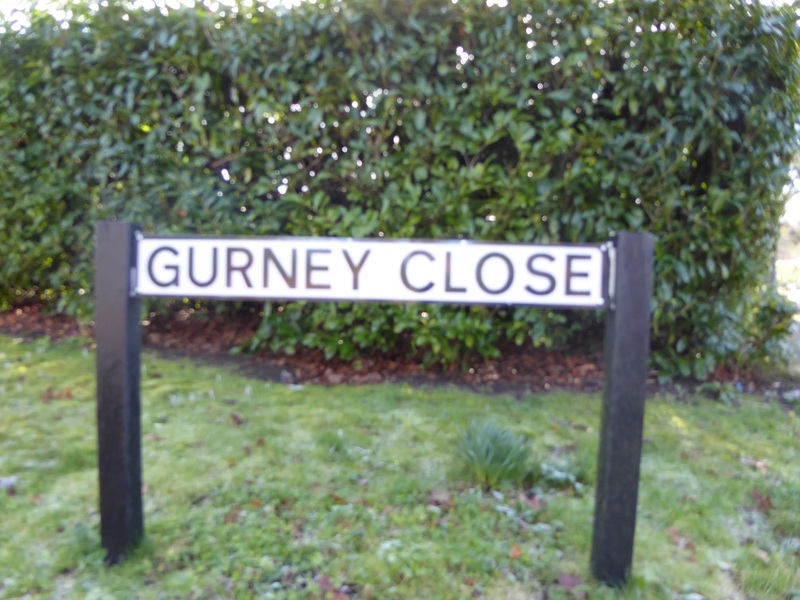 James and William Gurney, who developed the Burke’s Estate, have Gurney Close named after them. Quakers Thomas Ellwood and Isaac Pennington are commemorated in Pennington Road and Ellwood Road although Ellwood probably had little affection for Beaconsfield having been arrested by the Beaconsfield watch whilst walking home from Chalfont St Peter. He spent the night in detention and was released the next day. Hampden Hill is probably named after John Hampden, cousin of Edmund Waller and Disraeli Park reflects Disraeli’s Earl of Beaconsfield title. More recently, Alastair Mews is named after Alastair Dyer, a former Councillor and erstwhile mayor Elsie Barton has given her name to Barton Drive. Enid Blyton was a Beaconsfield resident and her house, Green Hedges, stood where Blyton Close is now. G.K.Chesterton lived in Grove Road and is remembered by Chesterton Green. 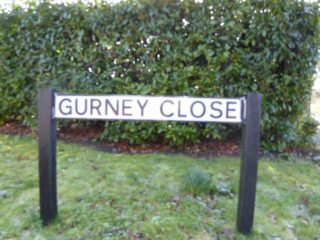 Alison Uttley and Terry Pratchett have yet to have any roads named after them. However, newspaper man J.L. Garvin who edited the Observer newspaper is commemorated by Garvin Avenue and Garvin Mews. Some roads have changed their names. 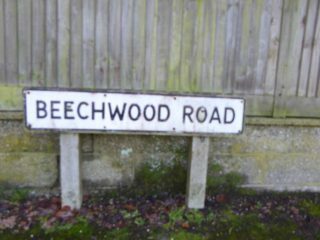 Ireby Crescent, named by James Gurney after his grand Cumberland Estate bought with the proceeds of the development of the Burke’s Estate, was re-named Beechwood Road which is much more relevant to the area. Holtspur used tree names to name its new roads including Cherry Tree Road, Chestnut Road, Crabtree Close, Mayflower Way and Rowan Close. Incidentally, the roads so named were lined with trees of the same name. Another new area simply used compass points, North Drive, South Drive, South Way, East Way and West Way. And finally, Jack Shrimpton was a very successful highwayman from Penn who terrorised travellers on the London to Oxford Road. He was hanged in 1713 but is remembered in Beaconsfield by Shrimpton Close and Shrimpton Road. His notority lives on!